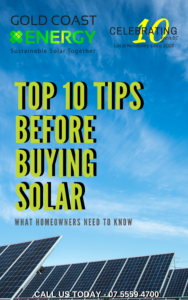 So you’ve invested in a solar power system. You’re enjoying free energy from the sun and already making your way towards matching your investment through your electricity savings. It may not even occur to you that something could go wrong. But, as with all areas in life, unexpected things can happen. It makes perfect sense to protect your solar panels by making sure your home insurance covers them. Here are three reasons why double checking this is a great idea. Queensland experiences a tropical climate where storms are frequent and often fierce. Power surges caused by these storms can leave your solar inverter damaged or malfunctioning – and you may not realise this until your next bill arrives and you see less-than-impressive numbers! On top of having the proper building insurance, you can also be proactive by checking your inverter on a weekly basis and the day after any storm strikes. Some people assume their solar power system will automatically be covered by their home insurance. While these policies will sometimes offer some form of protection for your solar panels, this is not always the case. It’s important to discuss the details of how you’re covered with your provider. A solar system is a major investment, and the thought of it being destroyed without any compensation can be truly frightening. Insurance can give you the peace of mind of knowing that, even if something tragic does happen to your solar system, it won’t cost you an arm and a leg to get them repaired or replaced. 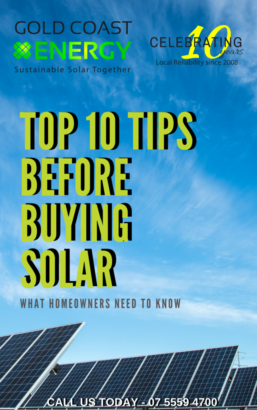 While it might seem at first like a waste of time, investigating whether your building insurance covers your solar system is one of those things too many people neglect until it’s too late. If your inverter has been damaged by something that isn’t covered by warranty (such as a storm or power spike), please get in touch with our team. We can prepare a report to assist you with making a solar insurance claim through your building insurance. With many insurance quotes and reports under our belt, we are well respected amongst insurance providers, so you can expect genuine and professional service from us every step of the way. Our experts can also determine if your damage is covered by warranty or not in case you’re unsure.